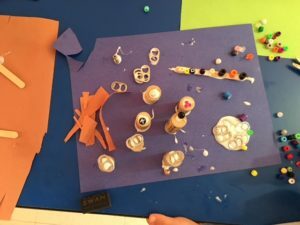 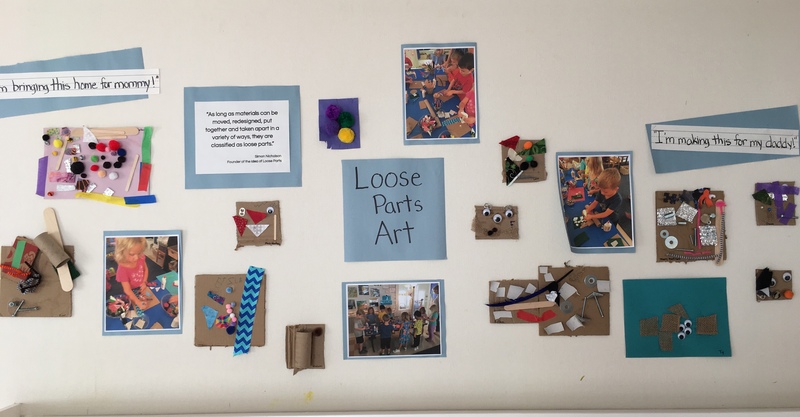 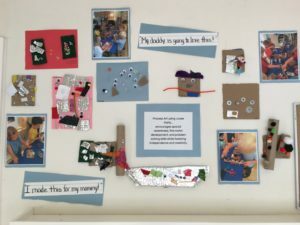 This year, the PreK is spending much of its time exploring, investigating and creating with “Loose Parts.” Loose Parts are materials that can be moved, carried, combined, redesigned, lined up and taken apart and put back together in multiple ways. 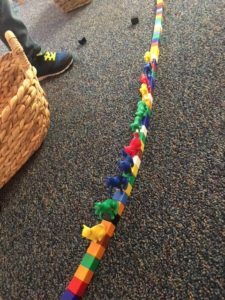 They can be used alone or combined with other materials. There is no set of specific directions for materials that are considered loose parts. 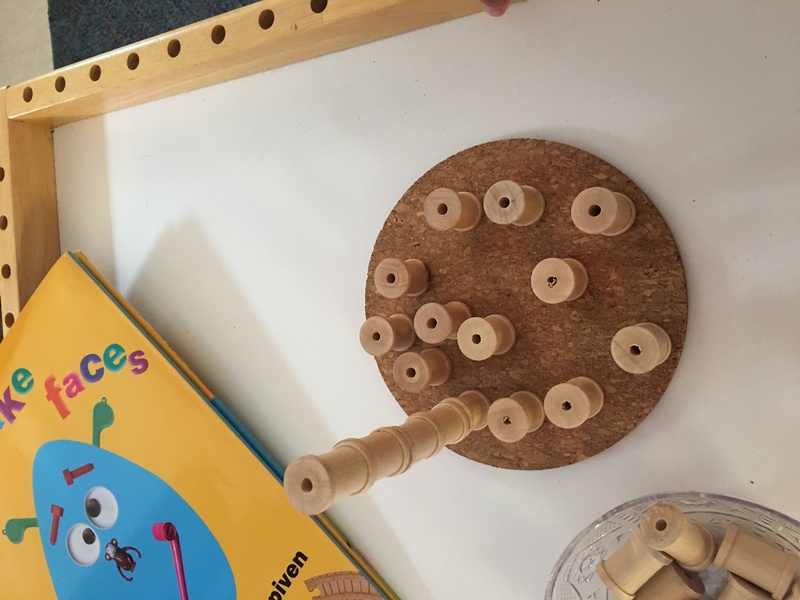 The child is the direction. 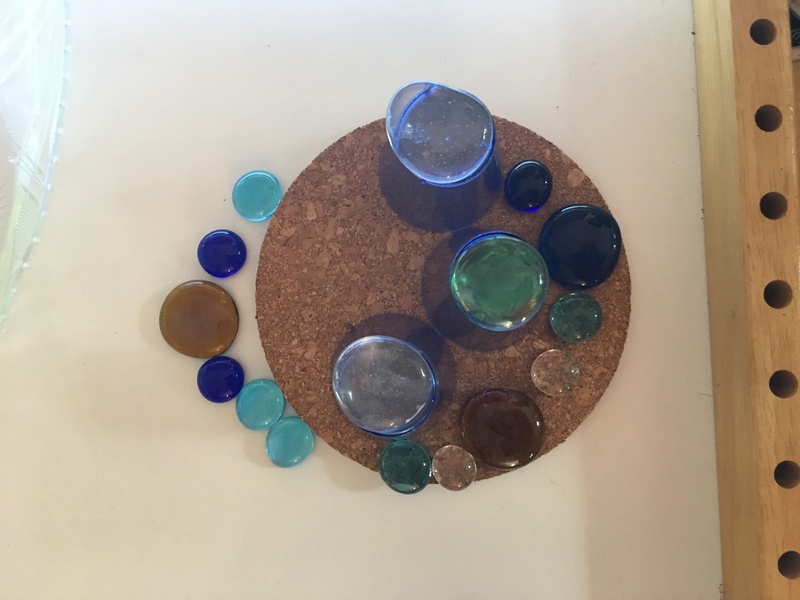 The PreK has been exploring with glass rocks, clear-colored shot glasses, cork, wooden spools and light boards, to see what creations can be made. 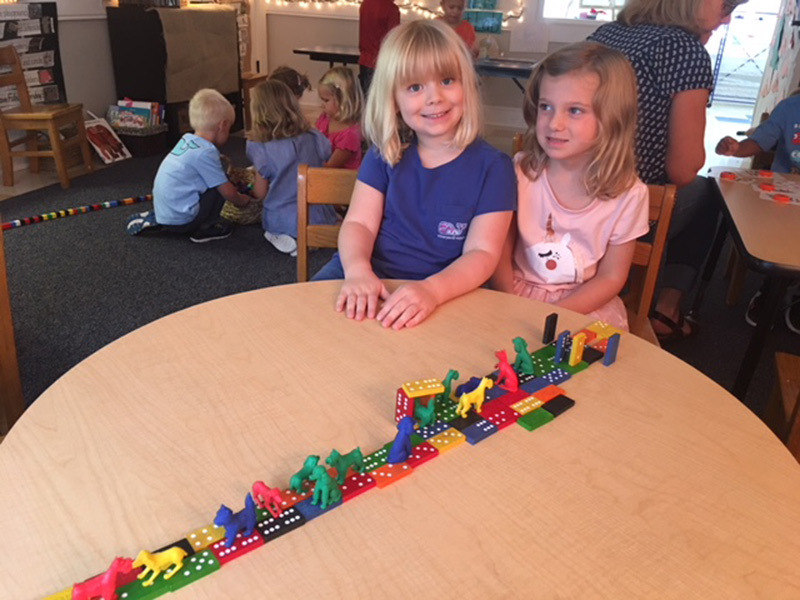 At the Blocks Center, the children have been using dominos and plastic dog counters to create habitats and animal trains. 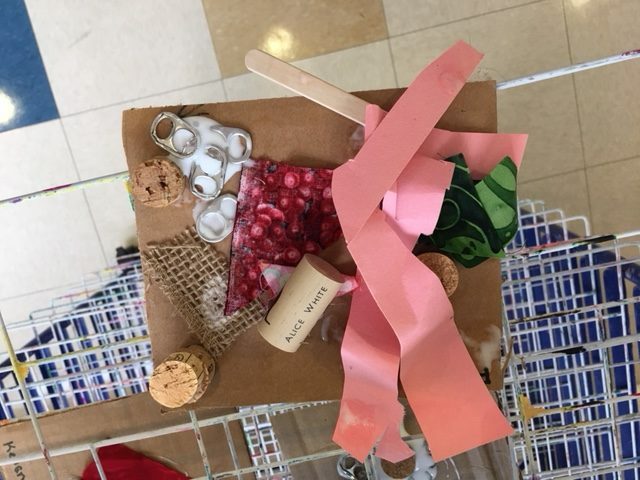 At the Free Art Center, the PreK has been manipulating toilet paper & paper towel rolls, corrugated cardboard, pom poms, sequins, corks, pop tops, fabric, colored tape, silver packing materials, pony beads, and various sized popsicle sticks (to name a few) to create amazing art. 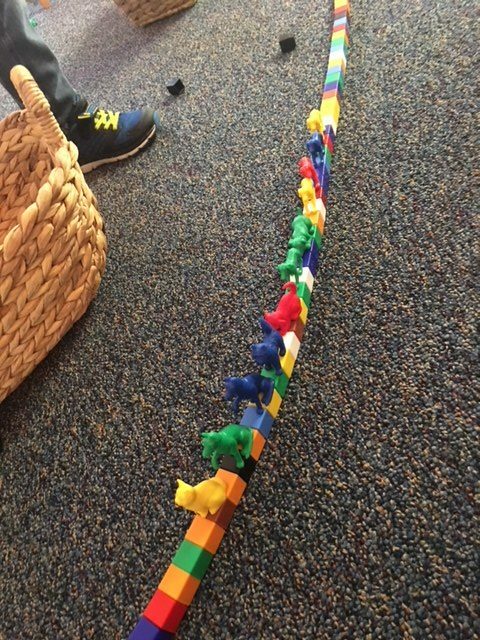 The child’s imagination is in charge!!! !